Columbia Law School’s Sabin Center for Climate Change Law has prepared a first draft of a model small-scale solar-siting ordinance. The model ordinance offers a framework that can enable municipalities to implement and enforce the effective and efficient use of solar energy resources. The ordinance would govern all new solar energy systems of up to 10 kilowatts, and includes provisions regarding permits, appeals, safety, and zoning for future solar access. A majority of the model ordinance is derived from existing solar ordinances enacted in New York municipalities. While designed with New York municipalities in mind, the model ordinance can be easily modified for adoption in other states. The ordinance lays out siting requirements for solar-photovoltaic systems that are mounted on the rooftops of buildings, as well as those which are ground-mounted. It also addresses the siting of building-integrated solar-photovoltaic panels as well as solar-thermal systems. 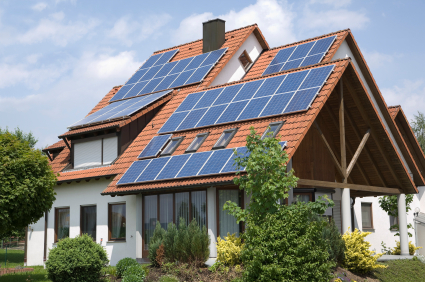 The ordinance places emphasis on safety requirements for proper solar installation while stripping away unnecessarily restrictive provisions that would limit the development of valuable solar resources. It also contains numerous optional provisions that would help guide municipalities in zoning land so as to maximize solar access in the future. The draft is annotated with a legal commentary that clarifies areas of potential ambiguity and discusses the benefits and drawbacks of the optional add-ons. We welcome comments on this draft from lawyers, planners, architects, engineers, municipal officials, and others on how to improve it. Comments should be sent to Michael Gerrard at michael.gerrard@law.columbia.edu. The municipal small-scale solar siting ordinance accompanies the Sabin Center’s model green building ordinance and model commercial wind siting ordinance.